Don't begin by talking about how tight your budget is. Imagine if someone burst into your office and the first words out of their mouth were, "I can't pay you very much!" Would your response be "tell me more!"? Illustrators receive a lot of requests for cheap or even free artwork. We don't expect everyone to be made of money, especially self-publishers, but nothing will elicit an eyeroll more than bringing up a lack of funds right off the bat. Don't try to downplay the amount of artwork. Illustrators understand the phrase "just a few quick sketches" to be code language for "I can't pay you very much and I want you to feel ok about that." Don't gush about how your project is exciting, special, a guaranteed bestseller, an instant classic, or a once-in-a-lifetime opportunity. You don't have to "pitch" the illustrator your concept like you would with an editor. The artist's first concerns are the type of artwork involved, the deadline and the budget. You don't have to convince them that your project is the next big thing, and you only risk coming off as pretentious and possibly delusional. Don't ask the illustrator to imitate another artist's style. What the illustrator hears is "I want to hire this other illustrator but I couldn't afford them, so I'm using you as a cheap knockoff." What you see in the illustrator's portfolio is what you're going to get - so if that's not what you want, don't hire them. Don't mention "exposure." People bring this up so often, illustrators like to joke that "you can die of exposure." To us it's another coded message meaning "I'm trying to make up for the fact that I can't pay you very much." An illustrator can judge from the type of project you're proposing how much exposure they're likely to receive. You don't need to bring it up. Start the email with a compliment, a mention of how you found the artist, and which of their images made you think they would be a good fit for your project. A little flattery never hurts, and being specific distinguishes your email from a generic spam message sent to hundreds of other artists. Also, use their name. Describe your project succinctly and simply. For example, "I'm writing a collection of poems about California wildlife," or "I'm working on a middle-grade novel about a boy who goes on a mission trip to Mexico." You're a writer, you can do this. I believe in you. If you can't describe your project because you're not sure what it is yet, or all you have is a vague idea...don't email illustrators. Describe exactly the amount and type of artwork you will need: the number and size of the pieces, color or black-and-white, what it will be used for. For example, "I need 12 black-and-white spot illustrations of California plants and animals, for use as chapter headers," or "I need a color cover featuring the main character standing outside a small church in Mexico." If you don't know how to describe what you need, try asking other authors for some basic illustration terminology. Mention the deadline. Asking the artist if they are "available" means nothing without some sort of time frame. If you're flexible on the deadline, ask the artist how much time they think they would need. The more time you can give them, the better. Remember that many illustrators work on multiple projects; if you need your art in a hurry then they may have to turn down other paying work in order to get it done on time. But if you have a long deadline, they can work on your project around other paying work. If you have a pre-determined budget, say it without apologies or excuses. If not, ask the illustrator how much they would charge for this project, or if they need more information in order to make that determination. I found your portfolio on Deviantart and really enjoy your use of color and sense of humor, especially the piece "Dragonflower." I am looking for an illustrator to create a cover and fifteen b&w interior spot illustrations for my self-published middle-grade novel about a lobster who becomes a famous K-POP star. I would need this cover by mid-August. As far as budget goes, I'm not sure what the going rate is for something like this, so I am open to suggestions for a fair price for a project of this size. Please let me know if you have any questions. Thanks for your time! Many illustrators are happy to hear from self-published authors who can communicate clearly and respectfully. 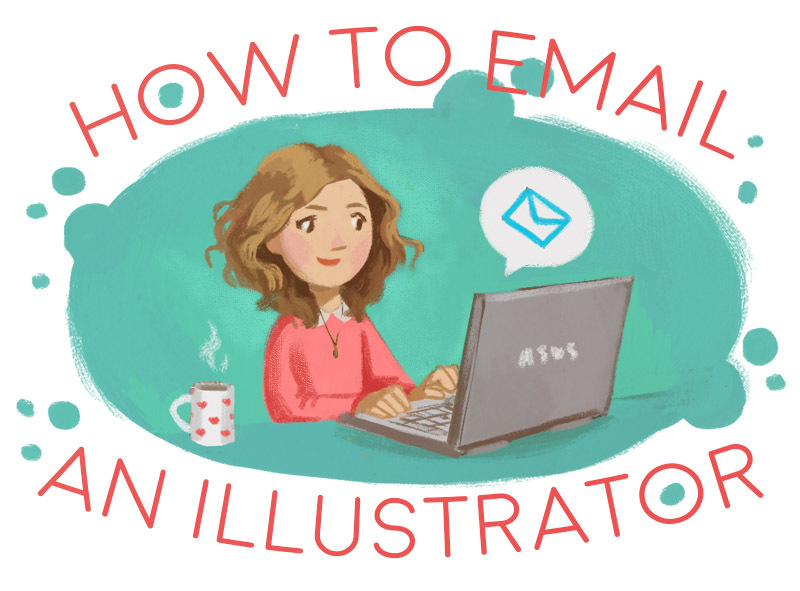 Now that you have this information, go and approach illustrators with confidence! Additionally, I would really appreciate it if you would share this blog post - not just because I'm desperately hungry for attention, (I am) but because I truly want this message to get out there to the self-publishing community. Now I want to read that book about the K-pop Lobster. Good list Kelley, gonna be sharing this around. Such a good post and oh-so necessary! Well said! Thank you so much for posting this. You hit all the things I run into every day, and you provided a very good example of how to approach us illustrators who also need to make a living. Kelley, what a cute illustration! YOU should think about writing! Your articles are funny, helpful, and you have perfect grammar! Nice to hear all this stated so clearly. My very first illustration job ever was for a self-publishing client who broke all 5 of those rules. He even asked me to 'try and paint like Thomas Kincade". Ew. No thanks. He also promised the book would become an instant bestseller and I would become famous. I felt sorry for the author because he had all these high hopes and dreams for a book I knew didn't have a chance, and I was right. Maybe I'd feel less bad if he hadn't demanded I do 20 revisions on each image, and kept changing his mind about what he wanted halfway through the finished work. I've since wisened up and put a revisions clause in my contracts, but I was a young, dumb, fresh-out-of-art-school graduate who was excited about doing my best with my first job. I know better now. Ouch! That sounds like the worst possible first client experience. "Paint like Thomas Kincade" - classic! Brilliantly put! This rings so true with the e-mails I get from potential illustration clients on a daily basis. Very informative! I will use this article as a guideline moving forward with my writing. Very well put together, Kelley! Pinned and sharing until it sinks in. As an illustrator I love this post! Thank you so much for writing it! Thank you for these useful tips !